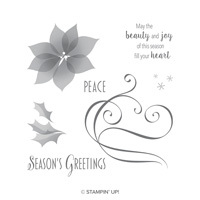 Stylish Christmas Wood-Mount Stamp Set by Stampin' Up! Can you really create these stylish images with stamps? Yes, you can. Be distinktive!